Milwaukee Bucks new logo: Why NBA teams need to drop the basketballs from their logos. Why Do So Many NBA Logos Feature Basketballs but Few NFL Logos Have Footballs? 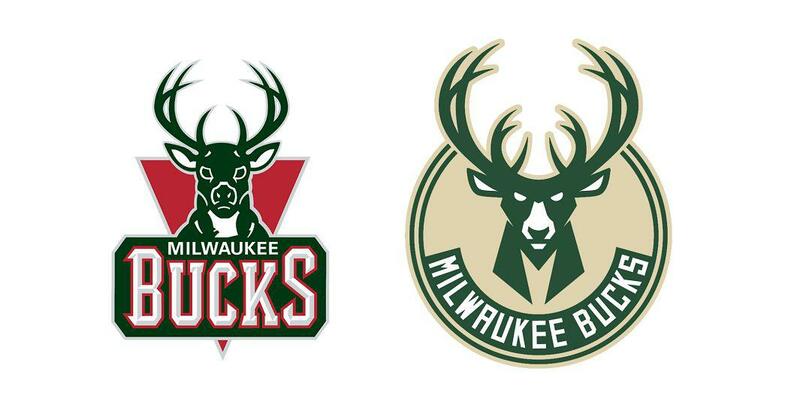 Old (left) and new (right) Milwaukee Bucks logos. James I. Bowie is a sociologist at Northern Arizona University whose Emblemetric blog examines patterns and trends in logo design using quantitative analysis of data from the United States Patent and Trademark Office. Here at The Eye, Bowie shares a recent Emblemetric post about the Milwaukee Bucks’ new logo. On Monday, the NBA’s Milwaukee Bucks unveiled a new logo. Like the team’s old emblem, it is a depiction of a fierce stag, but the new mark contains an image of a basketball, cleverly hidden in the negative space of the antlers. By switching from a logo without a basketball to a mark with one, the Bucks have joined 21 other NBA teams with basketballs in their primary logos. Seventy-three percent of NBA teams’ symbols now include basketballs. By contrast, only 13 MLB teams, or 43 percent of the total, have baseballs or other imagery inherent to the sport in their logos. 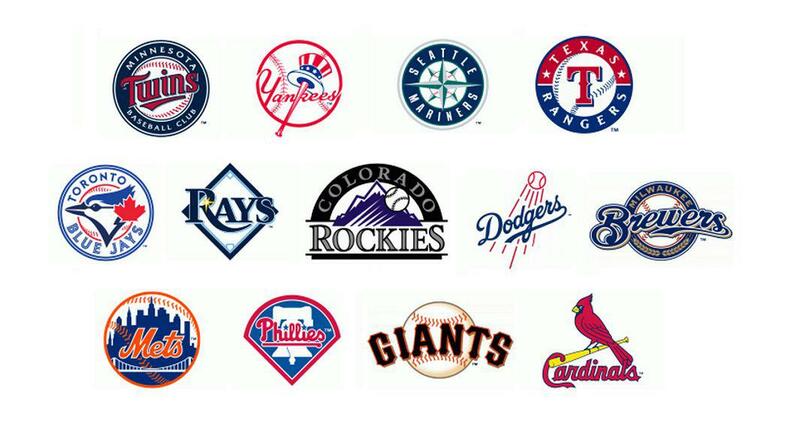 MLB logos featuring baseballs and baseball-related imagery. And just four NFL team logos, or 13 percent, feature footballs or football-related imagery. NFL logos featuring footballs and football-related imagery. Why the discrepancy between the leagues? One might speculate that spherical basketballs and baseballs make for more visually pleasing design elements than oblong footballs. Analysis of data from the United States Patent and Trademark Office shows that although all sorts of sports balls have become more common in American logo design over the years, round basketballs, soccer balls, baseballs, and even golf balls are more common than footballs in logos. Flags of “core” (left) and “peripheral” (right) nations. Core nations are so widely recognized that their flags need not say much specific about them, in the same way that well-known companies like Nike and Starbucks are able to drop their names from their logos and be known simply by their symbols. Peripheral nations, however, must use their flags to communicate detailed information about themselves to a world audience that is likely unfamiliar with them. The Nicaraguan flag and coat of arms. The NBA was once very much a “peripheral” U.S. sports league, far less popular than the country’s national pastime, baseball. 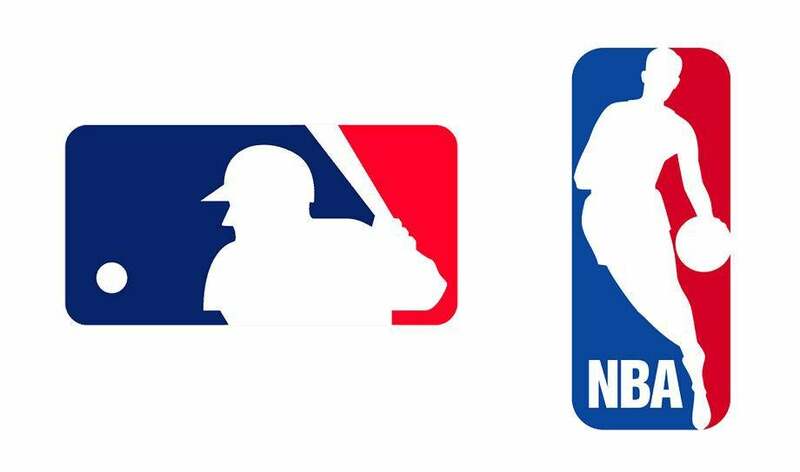 Indeed, in designing its new logo in 1970, the NBA, in an attempt to boost its legitimacy, was reduced to mimicking MLB’s 1-year-old silhouetted batter logo. Unlike baseball, though, the NBA felt the need to include its initials in its logo, in much the same way that Nicaragua needed to write its name on its flag. It wasn’t always this way, though: A look back in NFL history shows that before football was king, many NFL teams featured football-related imagery in their marks. NFL logos of the past. MLB, knocked from its perch by football, features more team logos with design elements related to its sport than does the NFL. The NBA, though, is absolutely overrun with basketballed logos. Some, such as those of the Los Angeles Lakers, Los Angeles Clippers, New York Knicks, and Detroit Pistons, are little more than generic depictions of basketballs. It is as if a refrigerator manufacturer decided to use a picture of a fridge as its logo; it’s hard to imagine a less evocative, less distinctive, or more boring visual symbol. The irony is that the NBA is no longer peripheral; it has become quite popular not just in the United States, but worldwide. There’s no need any more for it to use the design strategy of a second-rate organization. When it comes to logo design, the NBA should drop the ball and seek to build stronger visual identities for its teams.